To continue the momentum toward achieving disability rights in Mexico, participation from all segments of society is needed. Join the movement! The RightsNow! project is honored to work with disability advocates and allies in Mexico to strengthen communities through disability rights implementation. Mexico is a pioneer in promoting disability rights and implementation of the U.N. Convention on the Rights of Persons with Disabilities (CRPD), and serves as a reference for countries in the region. 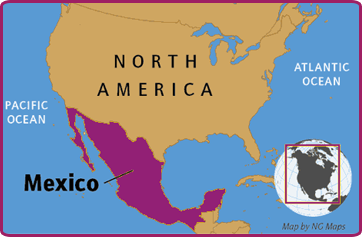 Mexico ratified the CRPD in 2007, and in 2011, signed into law the General Law for the Inclusion of People with Disabilities (LGPID), which replaced the 2005 law. This new rights-based law incorporates principles of the CRPD, and calls for the government to promote, protect, and guarantee the use of all human rights and liberties of people with disabilities, ensuring the full inclusion into society with respect, equality, and guaranteeing opportunities on equal basis. The current administration has also established the National Program for the Development of People with Disabilities from 2013-2018, which outlines the government’s plans to promote legislative and administrative actions that guarantee the rights of people with disabilities to exercise their full rights as citizens. In spite of this progress, implementation and enforcement of the laws remains slow and inconsistent. Challenges include changes in administration, a lack of consistency and unity among advocacy groups and other stakeholders, and the political structure, which provides full autonomy to all 31 states and Federal District to create their own laws and regulations. This has resulted in a lack of harmonization between state laws, the national LGPID, and the CRPD. Disability-led organizations, policy makers, legal experts and civil society actors are actively addressing these issues, and engaging to identify solutions that will guarantee full inclusion of disabled citizens through effective implementation and enforcement of existing laws and policies. The RightsNow! 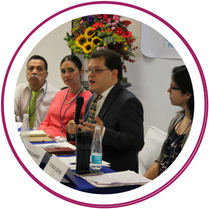 project welcomes all people to become actively involved in moving the disability rights agenda forward in Mexico using the tools and resources made available in the Global Disability Rights Now! resource center. January 2015: MIUSA partnered with Mexico Coalition for the Rights of Persons with Disabilities (COAMEX) to conduct project activities in Mexico City. COAMEX is a well-established cross-disability coalition, comprised of seven major organizations that work on disability rights, services and supports with networks throughout Mexico. December 2017: MIUSA partnered with Movimiento Asociativo Jalisciense Pro Personas Con Discapacidad, A.C (MADIJAL) to conduct project activities in Jalisco, Mexico. MADIJAL is an association of civil society organizations dedicated to promoting social initiatives and inclusive public policies that advance the rights of people with disabilities. March 2015: The RightsNow! project team conducted a 5-day introductory visit to Mexico City and met with a wide range of stakeholders to get first-hand information on the status of the implementation and enforcement of international and national disability legal frameworks. The U.S. experts co-facilitated sessions with DPOs and representatives of service organizations for people with disabilities; civil society and human rights organizations; academics; and public officers. The RightsNow! team also met with representatives from the US Embassy, USAID, the National Elections Institute (INE), political party representatives, and human rights lawyers. The visit was arranged in collaboration with COAMEX. October 2015: RightsNow! sent a team of experts in disability law, coalition building, and political advocacy to Mexico City to conduct a five-day training and work with DPOs, government, and civil society leaders. The training consisted of three distinct sessions, including a full-day session with human rights attorneys and representatives from academia, and covered topics such as advocacy, coalition building, lessons learned through enactment of the Americans with Disabilities Act of 1990 (ADA), and exploration of the Mexican disability law and human rights framework. The training was arranged in collaboration with COAMEX. January 2018: RightsNow! conducted an introductory field visit and needs assessment in Guadalajara, Jalisco, Mexico. Working with MADIJAL, RN! trainers completed meetings with stakeholders from the government, legal, academic, civil society and disability communities. The topic of “Access to Justice” was highlighted as an urgent need for persons with disabilities during the field visit as numerous requests were generated for more information about legal recourse and accommodations in the justice system. The visit was conducted in collaboration with MADIJAL. April 2018: RightsNow! sent a team of U.S. and Mexican disability rights lawyers to Guadalajara to conduct a three-day Seminar on “Access to Justice for Persons with Disabilities”. Workshops included presentations and discussions about legal protections of persons with disabilities in Mexico, enforcement options, accessibility in the justice and public sectors, legal clinics for disability related cases, coalition building and working group action planning. The seminar was conducted in collaboration with MADIJAL. 2015-2018: The RightsNow! Consortium provided technical assistance to DPOs and CSOs on inclusive disaster response, online training modules for people with intellectual disabilities, models for independent living, teacher training for working with children with autism and peer support models for people with psycho-social disabilities. Technical assistance was also provided to lawyers and government officials on accessibility in the judiciary and public sector, establishing legal clinics and on the implementation of disability rights laws in Mexico.